I played cat-and-mouse with the fraudsters for a bit, adding various checks such as e-mail confirmation, IP bans etc. but it only took hours for the criminals to adapt to these. Some of the fraud was pretty blatant. 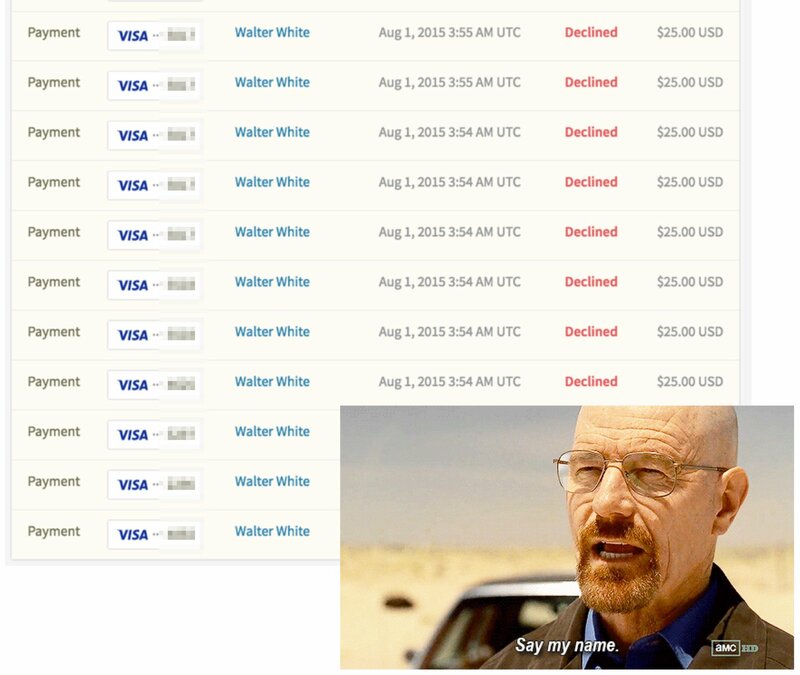 Eventually I just ragequit and switched off credit cards, going back to PayPal-only. Besides costing thousands of dollars in various fees, it had other negative consequences as well. I had spent time coming up with a new sign-up flow which was looking very promising, but had to scrap it when switching back to PayPal-only. Similarly I had to stop an A/B test midway, as the fraud was skewing the results too much. Buying gift cards I had only implemented through credit cards, so switching to PayPal meant that I could no longer sell those. This led to more lost sales. Having PayPal only seems to lower conversions, so I am losing sales there too. Growth backtracked. We are now instead back to 750 subs and the trend still hasn't reversed. Very far from the goal of 1500 I had set. I've lived in Japan long enough now that it seemed I might need to switch to paying taxes here instead of to my native Finland. It took almost a year to get a decision on this, while in the meantime I continued to pay to both. I thought taxes in Japan might end up being much cheaper, however turns out Japan just has many different kinds of taxes which are not paid at once, so there is much more to pay than just the low initial bill. After Finland finally agreed with the tax switch I received a big refund for amounts I had unnecessarily paid there. Celebration was in order, so I promptly spent it reserving flights & AirBnB for a 2016 summer in Europe (if you are in Paris / Amsterdam and want to meet up, let me know). The third major undertaking was to expand the type of writing I do on this blog into a whole ebook. 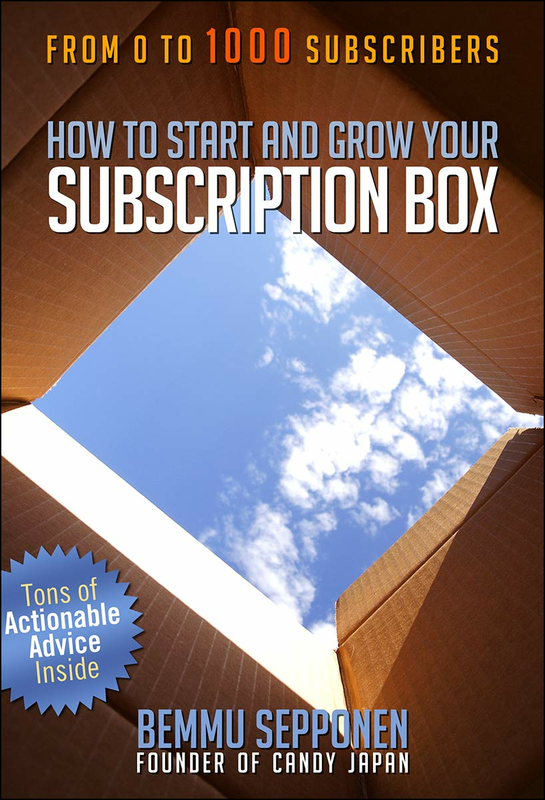 It's called "How to Start and Grow Your Subscription Box". The writing process was much tougher than I had anticipated. I hoped to complete it in a month, but in the end it took 4 months, with the mid part feeling like "this is hopeless and will never end". Besides just writing it out, there was more research and reorganizing than I had anticipated. CC fraud, tax issues and writing the book were the main activities this year. If you would like to read the laundry list of minor things I spent time on, read on to part 2.